One of the best experiences of the past year was developing technique and recipe for our country levain. Working with sourdough is an exercise in patience and love. 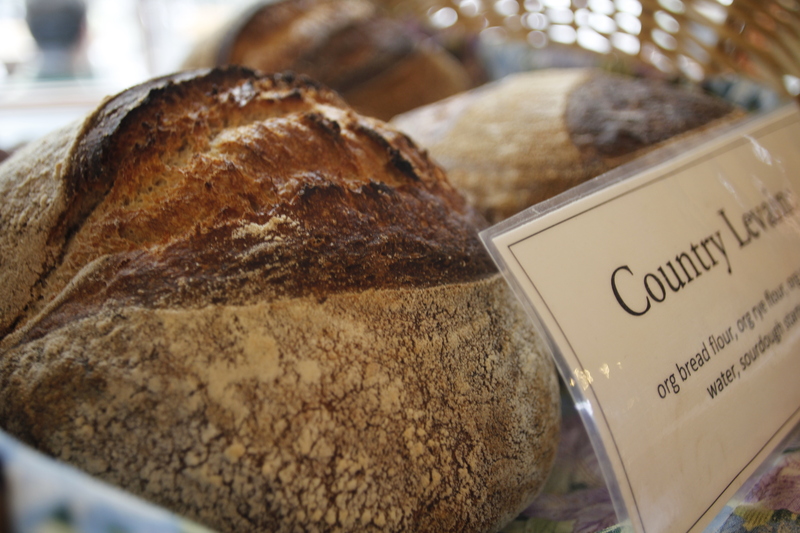 The sourdough culture that gives this bread its character, its profile, and its lasting power is fed every day. In return it helps us to make bread. The culture is years old, and this loaf was started 48+ hours ago. Any shortcuts taken subtract from what this loaf can be. We bake our bread in a wood-fired oven. Another exercise in patience and love. An oven is a fickle thing and must be watched carefully if one wants the best results. But what results! The oven spring can’t be matched.